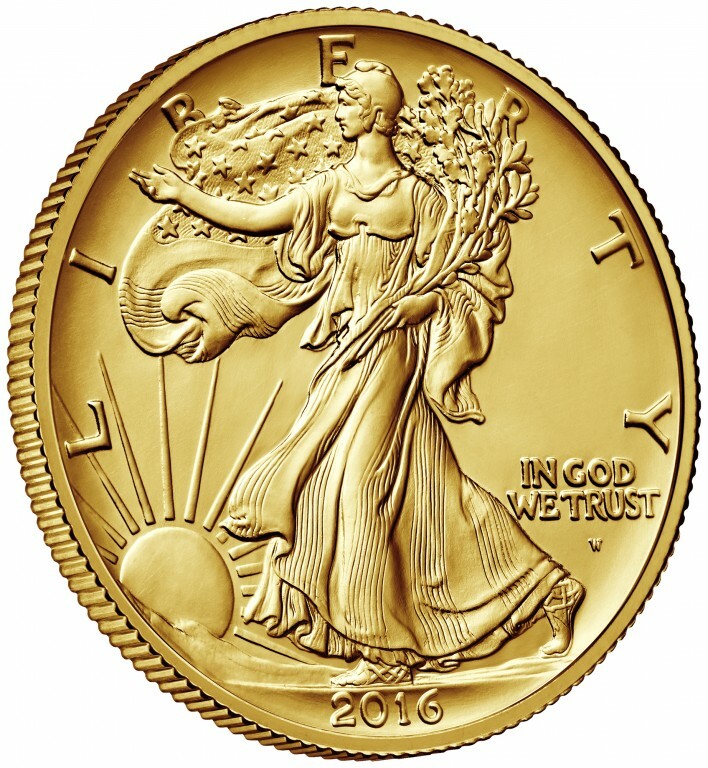 Beautifully struck in .9999 fine, 24–karat gold, this 2016 centennial anniversary release celebrates Adolph A. Weinman’s original “Walking Liberty” half dollar design. 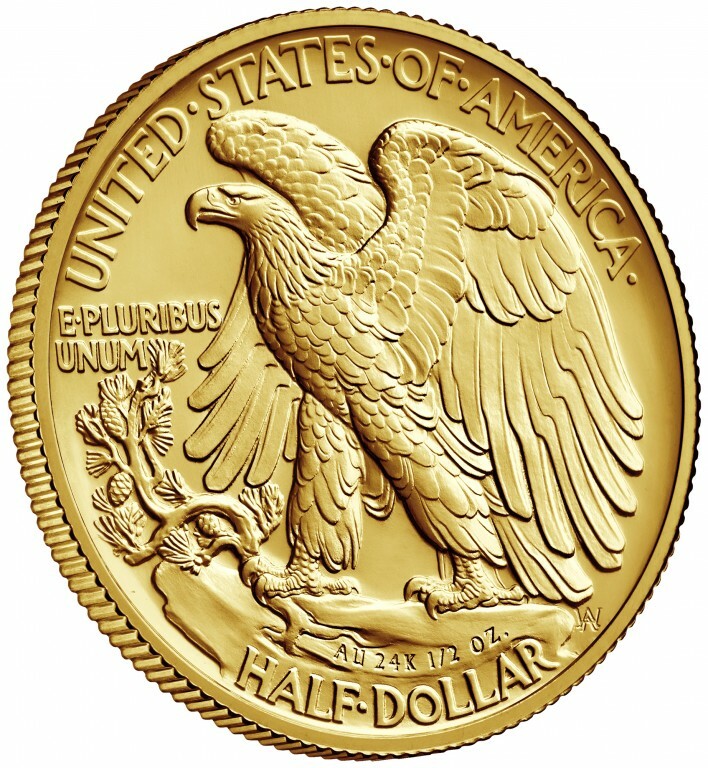 Each gold coin contains one–half troy ounce of 24–karat gold, symbolic of the coin’s denomination, and has a business strike finish. 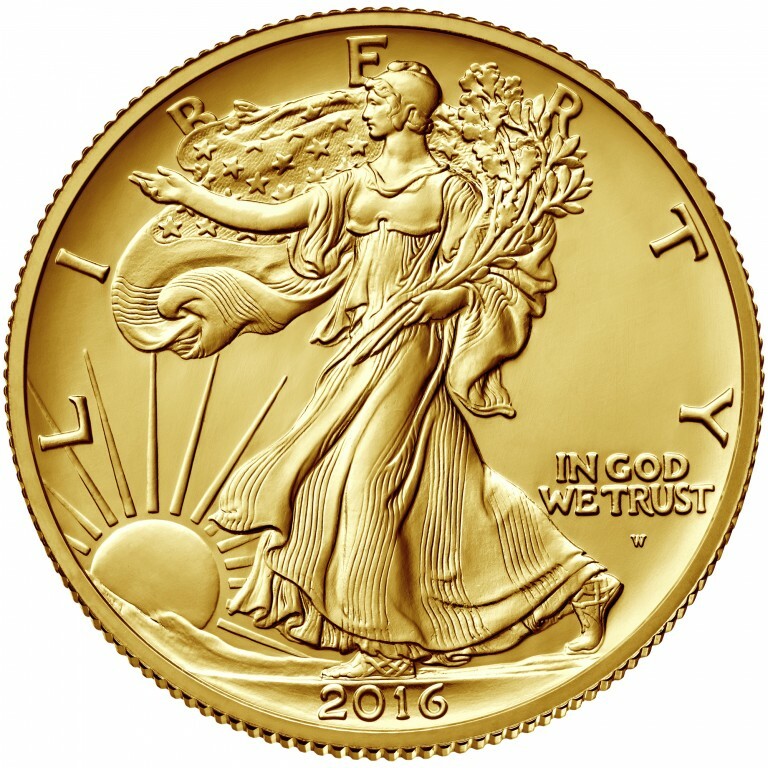 The obverse (heads) features a full–length figure of Liberty in full stride, enveloped in folds of the flag, with her right hand extended and branches of laurel and oak in her left to symbolize both civil and military glory. 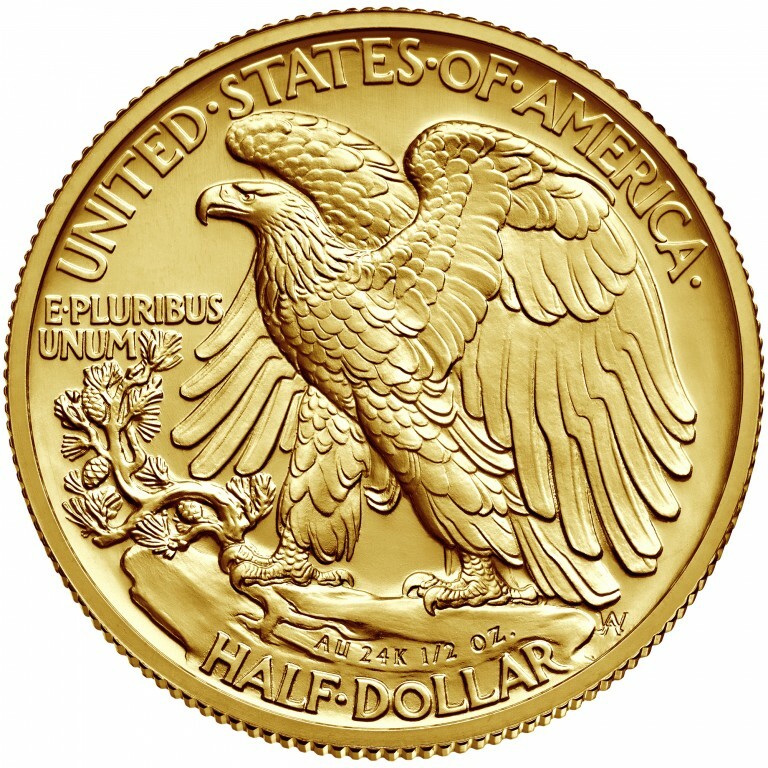 The reverse (tails) depicts an American eagle rising from a mountaintop perch.